I haven't played WC for over a year or so and a lot of stuff has changed. 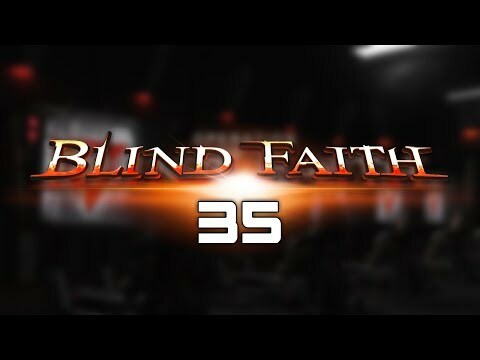 I'm participating in the blind Faith Event and realize that the Level 35 Base (Mission 8 on the Main Track) seems not so easy, as I lack a lot of the newer units. That's why I wanted to ask: How would you destroy that base ? I have Kara at Lvl 20 and could potentially do it that way, but that would take some time, as Air Units / Missiles are not allowed. It would of course be better if I had a Heavy Vehicle to kill all the Infantry. What about Spartan ZK's ? Edit: I have Dante, would he be helpful ? Good to see you back, IllllIl! There's countless strategies to defeat that base. the easiest one is to use a group of Liberators backed up by a few Vindicators or Disruptors (both are excellent infantry killers). Preservers: fire a single stream of bullets (Sustain damage).. they're not equipped with any components. Survivors: sustain damage similar to the Preservers but easier to kill. Acolytes: fire burst shots that deal massive amount of damage but without any splash.. They have very durable armor with a natural immunity to concussion.. their armor is resistant to sustain damage but very weak to burst units like Kara, Jericho, Purifiers, Commandos,..etc. luckily they're not equipped with any armor components. Deacons: you can call these 'Acolyte Leaders', their stats are lower and easier to kill, but they buff nearby Acolytes with a 70% armor bonus. there's only one Deacon in this base. - I would recommend using Kara over Dante, as she's easier to control, has a higher range, and deals extra damage with the Bloodlust ability. - Since this base doesn't have any units with splash, you can use a group of ERM as a bait or a meat-shield in front of your main unit. - Shrapnel Ordnance: 45% damage to infantry. - Drum Magazine: 40% reload speed .... if you don't have this, you can use Comp. Mag instead. - You'll probably need around 100~150 ERM. split them into multiple groups for a more responsive control. - Carefully approach the first line of units from the side. put Kara on defense and move the ERM in front of her, and try to lure out only 1 or 2 units at a time. - Continue with this tactic and always keep the Acolytes busy shooting ERM.. one Acolyte can easily kill Kara if you weren't careful enough! - If the Deacon and his group of Acolytes rush towards you, kill him first to remove the armor buff. - I used a group of 115 ERM split into 3 squads. - Kara is level 30 and equipped with a very basic design without any heroic or gold components. Oh MX36, that's some really good advice ! Thank you a lot ! Sorry the timing of my reply is too late after the event, but don't feel bad if you didn't get the new units this time, you still have many other venues to get them & their tech outside events. We have over 25 Faction units, some are more popular (useful) than others, but EVERY one of them has a role. so the simple answer would be: GET THEM ALL! but since you've taken a break for over a year now, trying to get them all is an overwhelming task. instead, I would recommend focusing on getting\upgrading the units that will help you catch up quickly in order to get the rest of the units. The Factions era is all about THORIUM, so get your vaults upgraded (if you haven't already). 15 Million is sufficient to build infantry units, 50 million is enough to build aircraft & vehicles. but for Heroes, you need to expand your storage capacity to 75 millions. If you don't have enough storage to keep those units, the Armory acts as a second storage for faction units, as it costs ZERO resources to move them in & out. The other good thing about faction units is their smooth upgrade curve. starting from 12 hours for level 2 with increments of 12 hours for each of the following levels. that means, you can upgrade any faction unit to level 5 in just FIVE DAYS!!! reaching level 5 is important as it expands the unit's workshop capacity from 500 to 1000. i.e. you'll be able to equip 2 tech instead of just 1. These are the ERM of the current meta. useful in nearly every situation. their cheap production cost and low repair time (10 minutes) makes them the ideal unit to use as a meat-shield in front of your more-expensive units.. they're able to fire at ground units, air, AND missiles (shred PKs in seconds!). they're powerful in numbers, and their core strength comes from their durable armor against burst damage (Rail Launcher, Ultra tank, Acolytes, Flood, ..ect) and they're also resistant to corrosion. Available in the event store, or by farming their special bases with the Herald (zero repair). 1- They are easily distracted & overwhelmed by last stand defenders and drones (Titan-Furies) as they fire a single stream of bullets without splash. 2- They are very weak to Area damage from Spartans, Vindicators, and Nightmares specially if they have fire tech on. One of the most used aircraft nowadays, can hit both air & ground targets.. has special drones for protection, good for sniping bunkers and turrets. very responsive and easy to use as a group. you'll need about 6~8 Furies for one-shot kill most targets. Furies need tech to be great. especially the drones. Currently considered one of the most reliable shields in the game. very durable against sustain & area damage. Liberators & SF barely scratch its armor, but it's weak to burst damage. its massive mount of health & armor makes it one of the few that CAN survive an Omega Juggernaut's shot. - to kill Boss units, Juggernauts, War Rigs, Legions, Heroes,...etc. - As a shield in front of other units like Vindicators or Liberators. - One of the key units for victory during INVASIONS. - Purifiers, ARDRA, Hammers, and Roland are considered HPT (High-Priority Targets) which means that if you have one of them deployed, AI enemy units will target it first and ignore everything else! this opens the door for new level of tactics. Purifiers are good as a shield even without tech, but that extra armor helps makes them GREAT. 1- Can be easily overwhelmed by a group of ERM. If you're a fan of artillery units, you'll LOVE this one!.. with 550 range (575 with tech), wide splash radius, and MASSIVE damage against groups of infantry and clustered defenses. - Vindicators are considered a Hard-Counter to infantry spam, as they can obliterate waves after waves of Liberators with few shells, and barely take damage! - One of the few units that are equally useful in offense & defense. - I use them all the time. there's always 4~5 Vindicators in EVERY platoon I have. 1-Same as Purifiers, they're weak to burst damage from Rail Launchers, Commandos, Acolytes, Purifiers,...etc. or fast moving units like Jericho that can dodge their shots and kill them with a few shots. 2- They can be shocked & scrambled, but all these effects can be negated if you're a Sentinels ally. You must have seen\read about the Omega Herald by now, it's the most overpowered aircraft to date! so if you want a good unit to counter that monster, Hades is the answer! - Hades is the only Anti-Air unit you need to focus on.. its long range and tech\Faction buff makes it one of the best base defenders, and a key unit to defeat certain bases like the last mission (Base 110) in the previous event. If you're not a Corpus ally, then you'll need the [Emergency Training] tech to help them survive getting sniped or one-shot killed by Juggernauts. - Obviously, they're weak to ground units. and can be sniped by Deena\Cyclones unless they have the Emergency Training tech on, or the Corpus buff. - Vanquishers' shield doesn't work. - Night Owls are still relevant but their use is limited. a dead Fury takes half the repair time of a dead Night Owl!! - Commandos & Infiltrators are still relevant AND useful in bunkers, but for your SF to survive in the current game, they must have armor tech on [Adaptive Body Armor] the silver or gold versions. - The introduction of Radio Tower level 5+ killed the stealth concept.. units like Cyclones & Infiltrators. The fastest way to get thorium to build those units is to ask your alliance to help with a few VK65s.. they can be done in 1 attack using Liberators & Vindicators, but if you want to do it yourself, then get a Twin Titan op from the gear store for 6k medals.. attack as many VK40s with it (don't forget to extend the timer) you can also attack VK50s using the Twins over two attacks starting from the North East side on RUBI.. hit the Gogo-Bar then concentrate on destroying the Drone Silos and Storm turrets ASAP. One of the most dangerous units in the game.. if you saw one charging at you, don't try to out-range it with SF shock, END ATTCK!! their firing pattern is unlike anything else. as they shoot a burst of multiple canister shells in a wide zig-zag pattern that penetrates even the gold Adaptive Armor. The Hammer's armor is impressive! similar but not as good as that of a Purifier. Hammers are used for their powerful alpha strike attack to crack-open heavily defended bases & mow down groups of infantry. because of their long reload time, it's best to time their strike with the [End Attack] to minimize loses. They have a wide array of interesting components, especially the anti shock, reload reduction, and the insane fire damage tech. 1- They have the 2nd longest reload time of any vehicle (5 seconds) which is a weakness after the initial strike. 2- They can be shocked unless equipped with [Grounded Armor] tech. Not great snipers like Furies.as they need to stay in position and continue firing at enemy targets, they perform better covered by the Titan or a group of Furies.. upon death they suicide causing large splash damage that can wipe bunkers & turrets in one hit. to unlock their full potential, the Ice & Fire AoE tech is a MUST! 1- Weak to most damage sources. 2- Without the AoE tech, they struggle against last stand defenders. These super armored aircraft are mostly used in PvP.. when used in PvE bases, the best tactic is to use (exploit) their armor boost for a few seconds while attacking bunkers & turrets > end attack > instant repair > attack again.. they're not as fast & responsive as Furies because of their heavy armor. 2- They have both Machine Guns & Rocket Pods. the Machine gun shoots at air & ground targets, while the Rockets only target ground units. these rockets have tracking feature i.e. they can NOT be dodged no matter how fast the target is! Best tech are [Blitz Training] which reduces damage take by 70% for 5 seconds. and [Thick Plated] reduces damage from infantry & bunkers. Enemy Valiant can be overwhelmed by Titan\Fury drones and killed, since it can't fire rockets at aircraft. Similar to the old-school FAVs, this is also used mostly in PvP.. heavy turrets & bunkers used to ignore it until it start spawning Spartans, but that was a bug and got fixed recently, and it didn't affect the usefulness of the Phalanx that much. best used to clear & distract enemy defenses using the 'Tank Rush' tactic supported from behind by a mix of Hammers, Vindicators, Hades or MORE Spartans! Get the [Urban Tactic] which applies the Busted effect & prevents last stand defenders from spawning, and the Cryo immunity. - They struggle against bases that have complicated designs with lots of walls. - Hammers & Vindicators wreck them in seconds..stay away from Hammers! Sunder: Fire pools + Reload speed buff for Vindicators. The only two that are truly useful in everyday gameplay are Weaver & Ardra. ARDRA, hands down is the toughest shield in the game! an indispensable unit in PvP, and one of the highest priority targets in PvE...with over 7 million health for just 1 hour of repairs!!! Weaver is a superhero! I don't need to say more, but if you have him, anything is possible. LATER> I'll try to add links to youtube videos that showcases each unit's abilities and features. Why would you use Emergency Training on Hades instead of the Rare extra 25% Damage Component though? With a lv5 Radio Tower, getting sniped is not much of an issue because Bunkers filled with Liberators can shred enemy Units, and if your opponent is attacking with a Juggernaut then it's not useful for your Hades to sit there absorbing shots, or even worse, run away from the Juggernaut. Personally I dislike the Apollos since they can only target Ground Units and their fireballs can be avoided by fast moving Units. In addition, they take up 300 Space each. However, the Valiants are slightly more desirable because they can target both Air and Ground, and their anti-Ground rockets can't be avoided at all. I'd focus on getting Furies to lv10, and then maybe investing in Herald. I keep going back and forth between the two. the extra bit of damage really come in handy when dealing with Heralds, but if I learned anything from the last event & invasion, it's that "better safe than sorry"... the last few waves had lots of Furies that caused serious damage to my Hades, and the last mission with the Herald Boss also spawned Furies that totally ignored my Cyclops bait and were able to fire at the Hades. If it wasn't for the upcoming Halloween event that might need some of their fire action, I would have recommended IllllIl to totally skip Apollos.. sure they have good damage vs everything, but they're painfully slow and their range is only good for brute-force spamming. BTW, do you agree with the list of top 5 units to focus on? besides Liberators, Furies, and Vindicators, what would you recommend getting next? Well, it's actually not too bad that you have answered so lately - but again, thank you for all this info ! Of course, I'd love to get the +25 Range & + 1 Clip Size Tech for the Vindicator, but the HZ Bases are way too difficult. I also heard that the HZ40 barely pays out anything and that the HZ90 pays out only 15k Medals. That seems like lots of effort / repairs for low medal income. PvP isn't really the thing that I'm doing at the moment, either. I actually don't care about the Herald. It will wreck my base anyway, so I'm better off not putting in a Base Defense Platoon, and that's it. 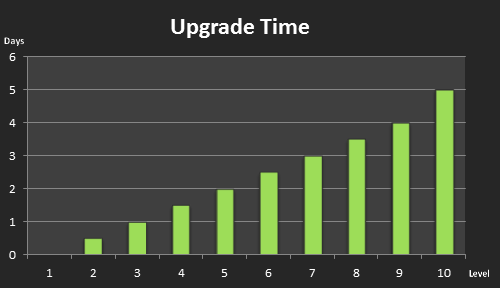 The upgrade strategy most of us use, is to get all units to level 5 first (which only takes 5 days per unit).. then focus on the ones that will give you immediate benefits, then the ones that will probably be useful in the future. The recent Tech center-Hanger split made that task even easier, now you can upgrade 2 units at the same time. This is actually one of the hot topics here on the forums. as many have complained about the payouts of HZ bases and how they're not proportionate to the effort\time spent. but sadly, all those complaints fell on deaf ears. I wholeheartedly agree with the list of top 5 Units, and after doing those I would get Phalanxes. They're extremely good in PvP and are very tanky.